MORE: The warning signs to watch out for when you’re selling your house with a Realtor, by owner, and even to professional real estate investors like USA Cash For Houses. Missing just ONE of these critical “warning signs” could cause even more stress and result in additional expenses for you when you finally do sell your house. The are 3 options available to sell your TX house. Each with its own pros and cons. All three methods work great in some situations… and are disastrous in others. Find out when to list with a real estate agent, when it’s best to sell it on your own and when selling for cash to a professional real estate investor is the best option for you. And, find out how much each option will cost you…too many folks are surprised to find out the “hidden costs” involved in listing with a Realtor or even selling it on their own, until it’s too late. Just fill in your name and email in the form on the right to download your free guide. 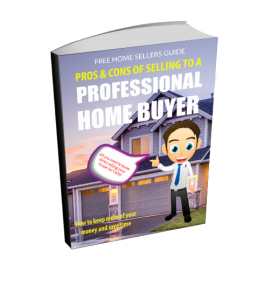 If you need to sell your home fast…this guide book can help you understand step-by-step why listing with a real estate agent can end up costing you thousands of dollars, and even then, there is no guarantee that you will end up with your house being sold. Just put your name and email, click “Submit” and we’ll email you the Free Guide right away.